This newly revised edition of Betty Wolfe's classic manual covers all the essential steps and information needed for quick-and-easy church banner construction, including 49 patterns, complete instructions, and tips for designing your own patterns. Worship spaces can be enlivened by the use of colorful banners that anyone can construct. This colorful and clear introduction to making banners provides advice on fabrics, design, colors, and construction for banners of all types and sizes. Determining banner size and shape, creating and placing letters and symbols, using color and contrast effectively, and picking fabrics and stitching options, and more are all included in this comprehensive volume. Regardless of their skill level, readers can learn how and where to place words and use symbols, choose colors, and make basic arrangements. The book includes idea starters, helpful design solutions, and easy reference sections on appliqus, stitchery and gluing, fabrics, tassels, tabs, bells, finishings, and mountings. It also lists information on tools and materials, and how to enlarge or adapt patterns. Patterns for seasonal, special event, and regular use can keep the church freshly decorated all year round. 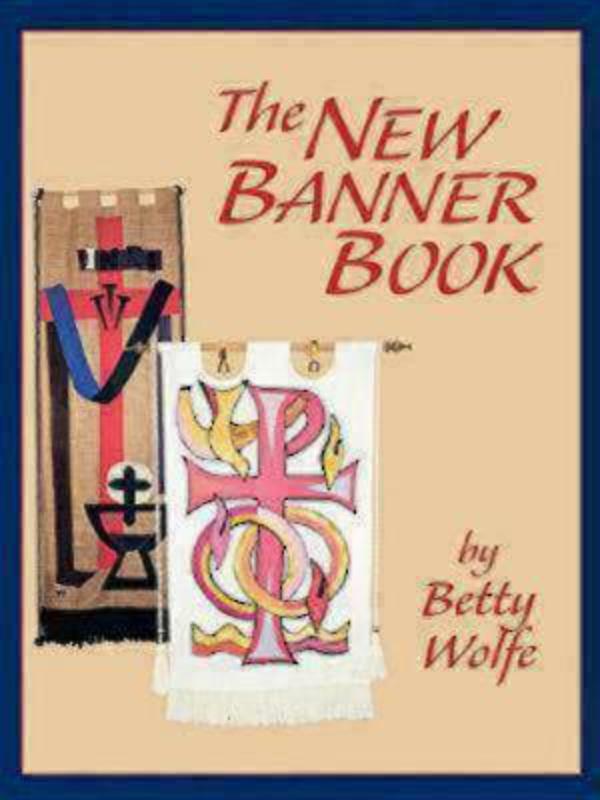 The New Banner Book by Betty Wolfe was published by Continuum in July 1998 and is our 16500th best seller. The ISBN for The New Banner Book is 9780819217813. Be the first to review The New Banner Book! Got a question? No problem! Just click here to ask us about The New Banner Book. Is there a way to view the patterns in this book before purchasing? A:We are not able to provide samples of the patterns inside the New Banner Book but we can provide a further description of the contents of the book which may help. The book includes advice on fabrics, design, colours, and construction for banners of all types and sizes. Determining banner size and shape, creating and placing letters and symbols, using colour and contrast effectively, and picking fabrics and stitching options are also included. In addition the book helps with idea starters, design solutions and a section on fabrics, tassels, tabs, stitchings and finishings.